NOTE: This only applies if you are using the Force full content option with the Full Text RSS Feeds add-on. When the Force full content checkbox is enabled in the feed source settings. The original feed source will be converted into a full text feed. 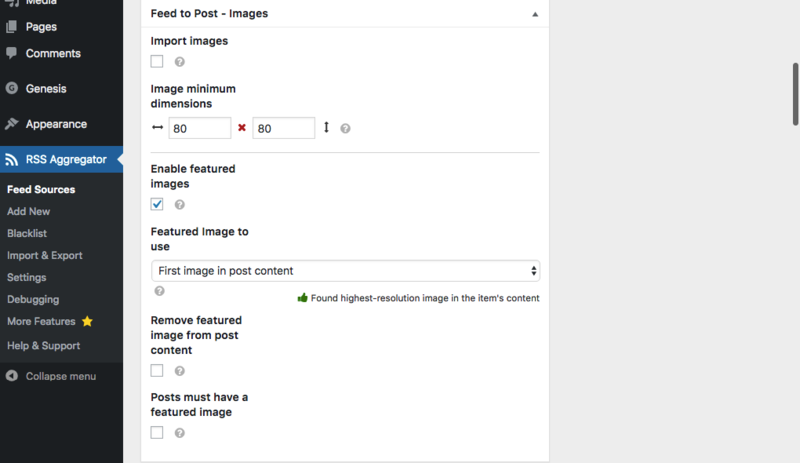 It will import the content and images from the item permalink and not from the original RSS feed. That being said, you need to make sure that the original post contains images inside the content section which can be found by our full text algorithm. Simply enter the feed source URL, choose the settings you need, and hit Create Feed. This will generate an example full text feed for that source where you can check what content is able to be imported using our premium full text script.